The last time I saw Seattle, Barack Obama was a president-elect. I arrived November 2008 on a road trip with two close friends, both of whom had worked full-time to get Obama elected. The trip had a practical function — to help one of them move to L.A. — but in earnest it felt like a victory lap. We traveled through Denver, Missoula and Vancouver before reaching Seattle, our last stop as a trio. We celebrated Thanksgiving in the city. We caught a screening of Rachel Getting Married, Jonathan Demme’s ode to a multicultural America. With the end of the George W. Bush era in sight, the years ahead felt full of promise. Images from that trip struck me last month as I sat at KEXP, Seattle’s venerable radio station/coffee shop. Maybe it was the rocket fuel cold brew in my veins, but the nostalgia for that time held a heart-palpitating tinge. Ten years later, and what did the future actually hold? A Donald Trump presidency and, in Seattle, as elsewhere, a city under the thumb of a tech overlord. If only one could live in that brief window between Obama’s election and inauguration, before the messy reality or its ugly aftermath. But one has to keep on living. And of all the ways to live, attending a film festival in a coastal city with good company and legal weed isn’t the worst option. So I returned to Seattle in May to attend the Seattle International Film Festival (SIFF), the largest film festival in the country. The event runs a staggering 25 days and screens 168 features at 10 venues across the city. As I file this report, the machine is still churning. How a city smaller than Indianapolis came to host the biggest film festival in the United States, I can’t tell you. What I can tell you, though, is that Seattle is very equipped to run this operation after 44 years of practice. On any given afternoon, up to seven films screen simultaneously in theaters ranging from a historic single-screen house (the Egyptian) to local a multiplex (the Uptown) to a mall-bound AMC (Pacific Place). The festival places an admirable focus on international cinema without U.S. distribution. Of the 14 films I saw at SIFF, only one was primarily in English. Without this festival, films like Iran’s A Man of Integrity would likely never screen in Seattle, or anywhere in the country outside maybe New York or L.A. I arrived in time for the festival’s opening weekend. I passed on the Opening Night title — The Bookshop — which looks an awful lot like Footloose, but with books (or “Bookloose” as I heard it mocked more than once). From there, I chose to focus on the many Middle Eastern titles on offer, with a particular emphasis on the five films that comprise the festival’s “Iran initiative.” Among these were The Charmer from Milad Alami, one of the few titles by a director from the region that will see a U.S. theatrical release this year. 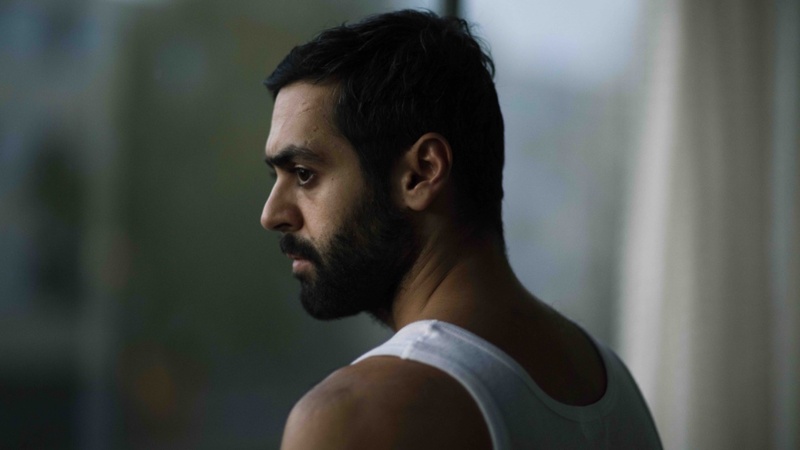 The film has a clear hook going for it: Esmail, an Iranian man in Copenhagen, has mere weeks to marry a Danish citizen and secure his citizenship before the government will force him to return to Iran. The film marries the clock-is-ticking dictates of a lean thriller with an implicit commentary on the absurdities of immigration policy. It arrives at a note so disquieting, I found myself feeling retroactively guilty for savoring its Western pleasures: the Copenhagen wine bars, the dancefloor drug montages, the one-night stands. Like Esmail, we succumb to these temptations, only to get sucker punched by a reality far more drab. The real charmer, turns out, isn’t Esmail but the cosmopolitan Europe that lures him. Like The Charmer, Annemarie Jacir’s Wajib boasts a tight focus and distinctive sense of time and place. Her film unfolds over one day as a Palestinian father and son hand-deliver invitations to a family wedding, per the local custom, around Nazareth. The son, Shadi, lives in Italy and has arrived sporting red pants and a purple paisley shirt, which we can only assume he’s worn to provoke his father into calling him “effeminate.” Jacir’s leads spar with a light touch; rather than drown the film in didactic shouting matches on tradition, they debate coffee, falafel, and plastic tarp — the stuff of the material world around them. For these characters, as for many of us with our parents, every disagreement offers a chance to score a greater ideological point or flaunt our rebellion. Jacir captures a fully realized love between these two men, despite their irreconcilable differences. Last year, I lost count of the number of women who described the mother-daughter dynamic of Lady Bird as “too close to home.” Just as they feared watching that film with their mothers, I at once fear and looked forward to watching Wajib with my father. Among my most anticipated titles at SIFF, Looking for Oum Kulthum is the first film from visual artist Shirin Neshat since her 2009 debut Women Without Men. I spoke with Neshat at the festival, where she flatly said of the film: “It’s full of flaws, but it’s quite original.” I can’t argue with that. A messy, self-lacerating work, the project began as a straight biopic of Egyptian musical icon Oum Kulthum. Neshat then reworked the script into a genre-busting piece about a female Iranian filmmaker’s attempt to make a Kulthum biopic. Like Women Without Men, it’s best experienced on non-narrative terms. A typical scene here blends archival footage, flashes of the director’s personal life, her film-within-the-film, the making of her film-within-the-film, and pure dream imagery into one experimental stew. For me, the work makes intuitive sense, despite sounding chaotic, and has an undeniable aesthetic beauty. Less successful, though similarly avant-garde, was Death of a Poetess from Dana Goldberg and Efrat Mishori. Like Kulthum, this Israeli drama contrasts the lives of two women: an older, affluent Israeli writer and a younger Palestinian nurse. Their stories, at first distinct, converge over time into a single ambiguous incident, à la an Asghar Farhadi film. As with Neshat’s film, though, the plot doesn’t propel Poetess so much as its examination of gender roles and the lives of differing women in the Middle East. Outside of the Middle Eastern lineup, I was happy to catch Ryuichi Sakamoto: Coda, a serene, erudite, and all-together sublime documentary on the Japanese composer. The film finds Sakamoto, now a cancer survivor, at work on Async, his late-career triumph from 2017. As recent portraits of artists go, I vastly preferred this to, say, David Lynch: The Art Life, for its focus on the process of making art. Director Stephen Nomura Schible catches some wonderful images here: Sakamoto standing in the rain wearing a blue shirt and a blue bucket over his head; Sakamoto in the forest, his white hair and shirt erupting from the greenery around him. Coda plays with silence and space, slowing your heart rate like a piece of ambient music. Often we hear nothing but Sakamoto’s voice, itself a soothing instrument, and perhaps the sound of light rain hitting a nearby window. The film serves as an ideal primer for those new to Sakamoto’s work, and it will no doubt please those who, like myself, remain enchanted by last year’s Async. Dead Pigs arrived at SIFF with little to prove: the film won a Special Jury Prize at Sundance in January and its director, Cathy Yan, has already been hired to direct the new Harley Quinn movie for DC. Set in Shanghai, this powerhouse first feature is an ensemble comedy-drama on the socioeconomic conditions that prime people to sell out. At a festival of small stories on small budgets, Dead Pigs feels like an epic. The film tracks five leads — four Chinese, one American — as a mysterious outbreak causes thousands of pigs to die on nearby farms. This is satirical stuff, at once silly and deadly serious. Yan has an entertainer’s impulse, and so the mirror she holds up to modern China has a delightful funhouse quality. Dead Pigs was the funniest film I saw at SIFF, if you can laugh at the collateral damage of late-capitalism. But what to make of Yan’s jump from debut feature to superhero franchise? In one sense, I suppose it’s progress that this kind of Sundance-to-blockbuster rise isn’t just reserved for white men like Colin Treverrow. Given DC’s cinematic track record, though, I can’t help but find its sucking up young talent into the superhero industrial complex depressing. Here’s hoping Yan can make the most with what they give her. May in Seattle offers many reasons not to see a movie. How many films, really, can compare to the view at Gas Works Park? Consider the story that view tells: the panoramic skyline of at least three neighborhoods, pockmarked by 45 active cranes. Seattle is the “crane capital of the United States,” and I can’t imagine a better illustration of its rapid expansion than that cityscape. Or which films, if I’m being honest, would I prefer over my trip to Fremont, where I stood in the shadow of a truly bizarre, 16-foot-tall statue of Vladimir Lenin? Not many. SIFF, to be sure, did provide a number of experiences I won’t soon forget. I relished the audience’s vocal disdain after First Reformed, which appeared to have ruined everyone’s Friday afternoon. I cherished the duet of pleasures that is a dispensary pre-roll and a midnight showing of Coralie Fargeat’s Revenge. If Seattle as a city left me ambivalent due to its hyper growth and high prices, SIFF as a festival showed me nothing but love. Of the 168 features screened there, 32 are North American premieres and 16 are U.S. premieres. Quietly, in its distinctly mellow way, Seattle has built an essential American film festival: a showcase of international art-house cinema with few peers.